Dropped, bent, folded or broken ears instantly corrected with undetectable, humane, cost-effective PermaStay Ear Implantation! by Gregg Miller, Inventor and president of CTI Corp. 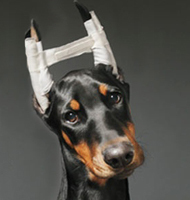 Revolutionary PermaStay® implants correct dropped or folded canine ears quickly, humanely and successfully. 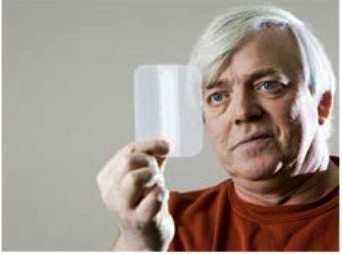 PermaStay creator Gregg Miller holds the micro-thin, ultra lightweight implant which is undetectable once placed. PermaStay Ear Implantation was introduced by CTI Corporation in 2011 after five years of development. Since that time over 1000 canine ears have been restored successfully including Dobermans, German Shepherds, Boxers, and Chihuahuas. 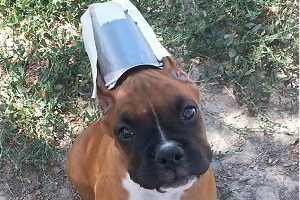 The product was created based on pet owner demand said inventor Gregg Miller of Oak Grove, MO. His 20 year old company specializes in the creation of pet implantation devices and products including Neuticles. CT Eye implants, TempoStay, iStainGon and ScarGon. PermaStay is crafted to permanently restore bent or broken ears on canines whose ears should stand up but do not. There are three sizes available for any breed of pet. The company maintains a database of participating facilities nationwide. PermaStay is crafted from FDA Medically approved surgical mesh and features a fluroplastic 'spine' which provides immediate support when placed. Tissue growth occurs within the mesh providing what Miller termed "a wall of support" to permanently restore the ear. The procedure takes about 20 minutes per ear and recovery time is up to 30 days. While the incision area heals within a week to ten days, the ear should be supported to allow uninterrupted tissue growth within the mesh. A customer sent a thank you note with the photos below. 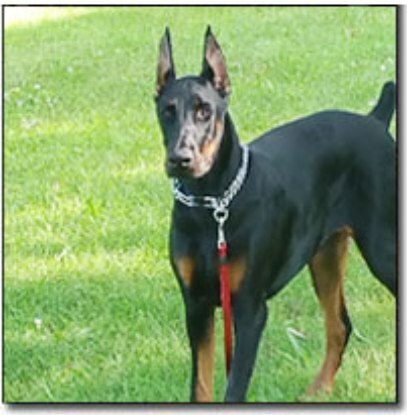 "After many weeks of posting Apollo's ears we were very discouraged because his left ear would not stand. After consulting with Dr. Bleem, he suggested implanting the PermaStay ear implant." We could not be happier. Dr. Bleem did an excellent job and the PermaStay performed exactly like it was designed to do. Thank you.! 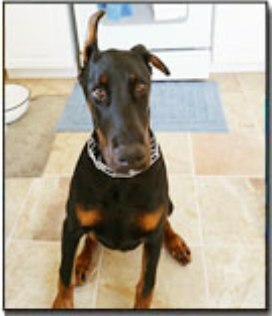 Cost of the implants are from $299/ea and placement by the veterinarian can range from $300 to $800 per ear depending on the vet and location in the country. Miller said PermaStay is more than a cosmetic procedure for pets that angers some in the pet community. He said German Shepherds, for example, are especially prone to damaging ear infections when a floppy ear blocks air flow into the ear canal. "Who can ague with that?" Miller asked. TempoStay is also available which is the fluroplastic spine contained within the PermaStay. The spine can easily be placed by the pet owner externally with surgical glue which eliminates posting of the ear or bandaging a newly cropped ear. 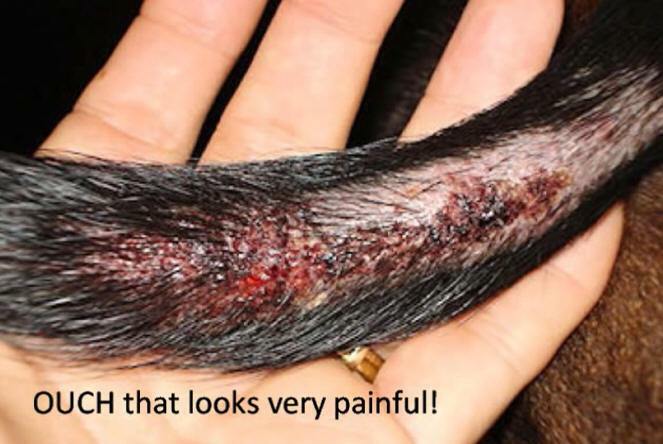 TempoStay can also be sutured into place by the veterinarian. Miller said PermaStay is the only product in the World that permanently and humanely restores the pets ear and cited many other products in the past which were ineffective and inhumane. Go to Neuticles.com to learn more. If you are a veterinarian which specializes in ear cropping/ear restorations and would like to become a participating facility please contact us. Your clinic or hospital will be placed on our Worldwide Referral Database. Our on-staff veterinarian can assist you with technical support on any issue or concern you may have. (888) 638-8425 within US and Canada or (816) 690-8337 outside US or Canada or email permastay@aol.com. Features of breed type are under assault by animal rights. Age old debate of cropped ears, docked tails, or natural. AKC and breed clubs roll over on ears and tails and ARs win!